In the Windy City and elsewhere, a liberal top-bottom coalition drives it out. In cities around the world, two-tier societies are becoming increasingly common. While much ink has been spilled over widening income inequality in cities such as New York, where Bill de Blasio rode his “tale of two cities” theme all the way to City Hall, most attempts to solve the problem have focused on the poor, not the middle class. Liberal mayors across the country are proposing an array of policies intended to address income inequality, including minimum-wage hikes—Seattle’s mayor wants to raise it to $15 per hour—affordable-housing mandates, and tax increases on the wealthy. At the same time, they’ve made massive investments in upscale neighborhoods and business districts. But no one is championing the middle class, even rhetorically. Chicago provides a striking case in point. Mayor Rahm Emanuel has pumped hundreds of millions of dollars into initiatives benefiting the city’s elite, such as high-tech industry support, a $100 million “river walk” along the Chicago River, and “tax-increment financing” subsidies for major developments like a proposed basketball arena. And Emanuel has at least talked about boosting the fortunes of the poor by getting a handle on the city’s crime problem and improving education. Meanwhile, schools and mental-health clinics have closed in Chicago, and libraries have had their hours reduced, but Emanuel has so far done little talking or acting about the fate of Chicago’s middle class, which has declined remarkably over the last four decades, according to new research by University of Chicago graduate student Daniel Hertz. As the gray areas in Hertz’s map show, Chicago was mostly middle class in 1970. By 2012, Chicago’s middle class had radically shrunk, and the city was divided between upscale areas (green) and poor ones (red). Hertz has previously documented Chicago’s growing public-safety inequality gap and examined how Chicago’s upscale areas are experiencing gentrification in the public schools. The plight of the middle class in cities like Chicago can’t be blamed entirely on liberal policies. The global economy has clearly benefited the talented, the educated, and the already wealthy, often at the expense of those in formerly middle-class occupations, like manufacturing. And it’s unlikely that the forces unleashed by globalization will diminish. One might expect, then, that big-city Democratic leaders like Emanuel or de Blasio would make a strong appeal to middle-class constituents. They haven’t, because for liberal mayors, middle-class decline is convenient and politically advantageous. Much of America’s moneyed elite has already shifted its allegiance to the Left, especially in cities. 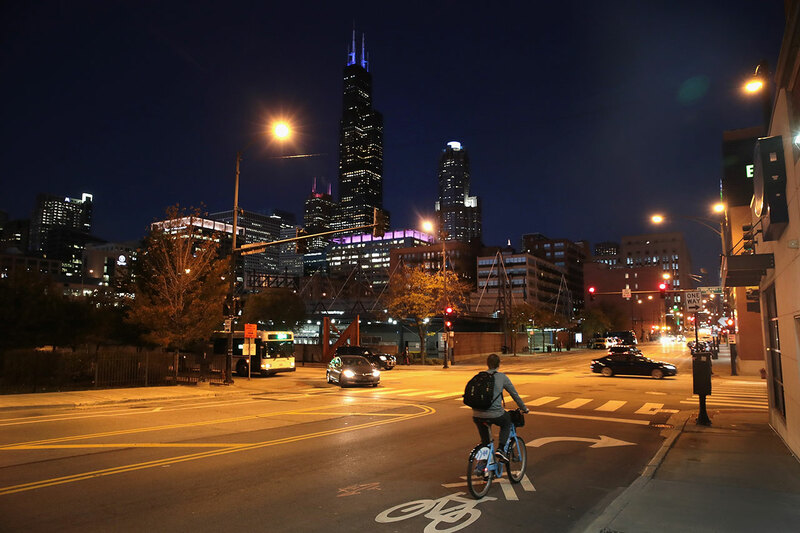 Wealthy, educated urbanites hold generally liberal social values and can afford the higher taxes “blue” cities like Chicago impose—especially when those taxes help pay for the upscale amenities they desire. Even when the mayoral administration is less friendly, the urban elite tends to get its needs met. At the same time, the urban poor have remained loyal to the Democrats, no matter how little tangible improvement liberal policies make in their lives. And the various unions, community organizers, and activist groups that advocate for the poor profit handsomely from the moneys directed toward liberal antipoverty programs. This is the Democratic Party’s new top-bottom coalition, one in which the traditional middle class—white ethnics, blue-collar manufacturing and trade workers, small business owners, and others—has no part. These “left-outs” are the urban equivalents of Reagan Democrats. Their instinct to vote Democratic may remain, but the economic interests that once bound them to the party have largely disappeared, leaving them politically unaffiliated. They are open to voting for a compelling Republican, such as Rudolph Giuliani—particularly if the city in which they live appears to be spiraling downward. In other words, these independent-minded, urban middle classes are quintessential swing voters. 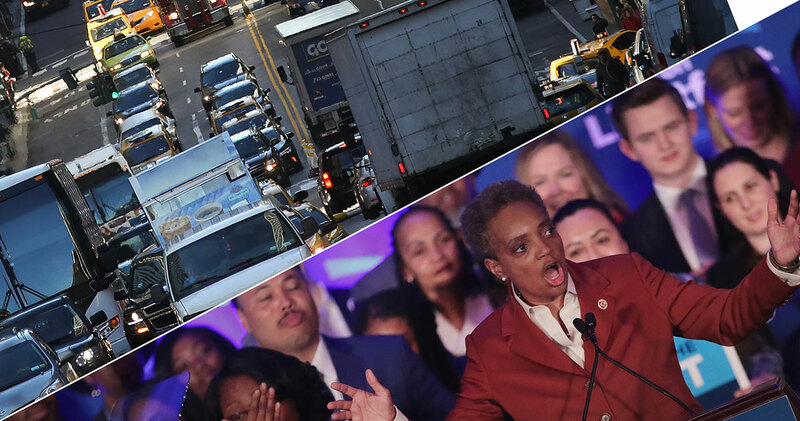 They can create political trouble for an unsympathetic mayor—and that’s why leaders in Chicago, New York, and elsewhere aren’t going to lift a finger to try to halt their flight. Indeed, in Chicago, even the black middle class is bailing. The city’s leadership appears unconcerned. To the extent that the middle class abandons Chicago and New York, the Democratic Party’s stranglehold in such places will only tighten. 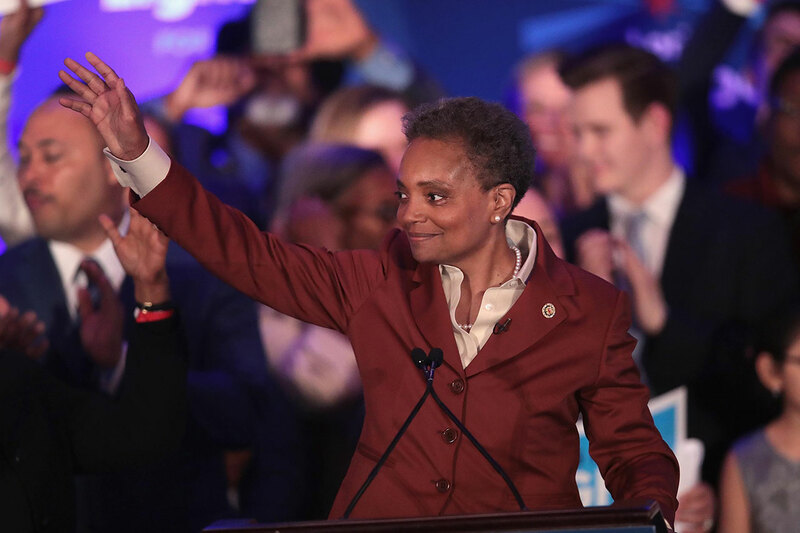 In this light, the dramatic changes in Chicago since 1970 shouldn’t be seen as merely an accident of fate, but rather as a political result directly tied to the interests of the Democrats running America’s third-largest city. Urban liberal politicians may see value in continuing to beat the “tale of two cities” drum. Just don’t expect any of these big-city mayors to reach out to the middle class any time soon.